If the pharmacist provides the wrong medication or the right drug at the wrong dose, the consequences are often extremely dangerous and, at times, deadly. When the drugstore is extremely busy the pharmacist may fill 20 prescriptions or more every hour. Some statistics reveal that approximately 1 to 5 percent of all prescription medications filled by pharmacist the United States involve some type of error. An error might involve an incorrect prescription label that provides the wrong directions. 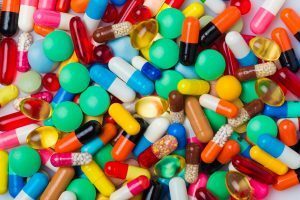 However, it may be the wrong medicine, especially drugs that sound alike or even those that have similar spelling when the pharmacist arranges all medications alphabetically on the drugstore shelf. The U.S. Food and Drug Administration (FDA) maintains active files on the drugs that are most commonly associated with common pharmaceutical errors. One common mistake involves filling a prescription of methylphenidate used as an proven treatment for ADHD (attention deficit hyperactivity disorder) in children for methadone (a dangerous narcotic prescribed for the treatment of heroin addiction). Other pharmacy errors involve the pharmacist missing a drug interaction when providing the consumer with a new prescription. As an example, filling an antihistamine prescription medication to treat allergy symptoms while the consumer is also taking tranquilizers or sedatives can cause significant problems that can affect the consumer’s concentration, making it extremely dangerous to drive. Anytime a consumer picks up their prescription medication, it is essential to open the bag in front of the clerk and inspect the container before leaving the store. If familiar with the medication, open it up, look at the drug and asked questions to verify that the drug in the container matches the prescription given by their doctor. This is important because one serious pharmaceutical error occurring at the drugstore is to give the wrong customer someone else’s medication. Even though the name on the label and bag may appear to be correct, it could actually be another individual’s medication to treat a different condition. What is this prescription medication used for? Is this an appropriate dosage to take for this long? Are there any medications I am taking now that can interfere with its effectiveness? What are the side effects I should expect by taking this medication? In addition, it is advisable to always compile a list of medications being taken when picking up new prescriptions to have the list on hand when speaking with the pharmacist. Alert customers can easily find an error at the pharmacy when picking up a prescribed medication. In fact, they are usually the last line of defense to catch an error before it causes a serious life-threatening health hazard. Discussing the error with the pharmacist is crucial to ensure that the source of the mistake can be documented and steps can be taken to minimize the potential of the error ever happening again in the future. But what should families do if a loved one is seriously injured by the mistake if they took the medication? It is essential not to give the medication back to the pharmacist but keep the prescription to be used as evidence in case future litigation occurs. Every pharmacist is a human being and mistakes can happen. In many incidences, they are overworked, overburdened and attempting to manage long shifts by working nonstop. They often have to deal with numerous distractions every hour including talking to customers arriving to pick up their medication. Some drug stores hire pharmacy technicians in an effort to minimize the pharmacist’s workload. However, they require direct supervision from the pharmacist, which often just adds one more layer of responsibility. If possible, avoid accepting a handwritten prescription from the doctor when possible. This is because illegible handwriting is a leading factor of many drug mistakes. Instead, have the doctor send electronic prescription to the pharmacy when possible.